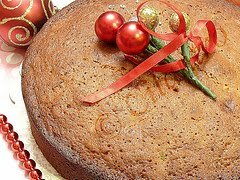 Are you here looking for quick easy breakfast recipes? Then this is the right choice. 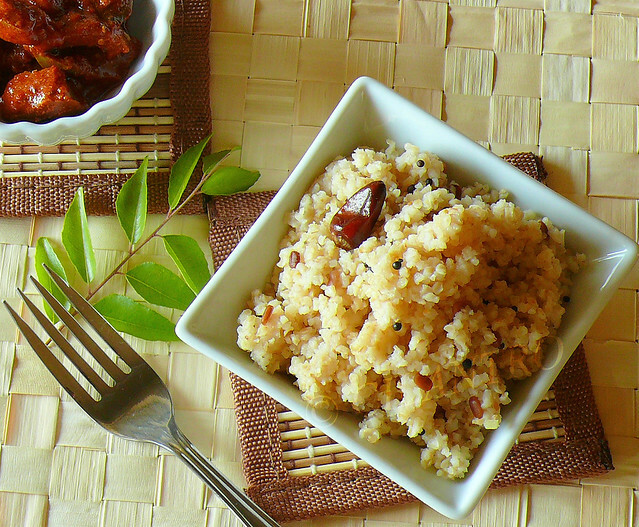 This healthy upma is a breeze to make. 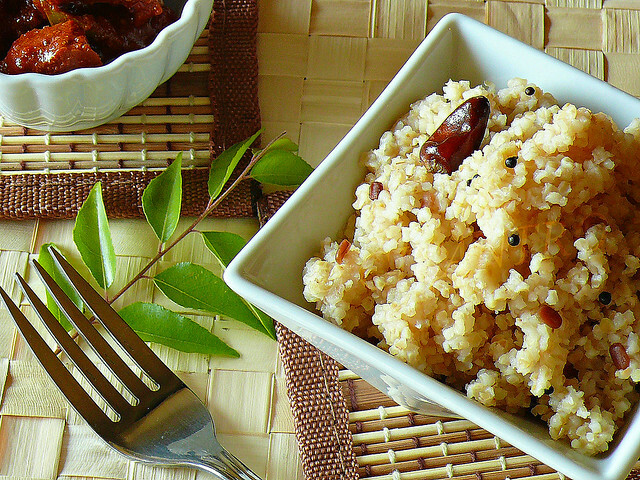 Few ingredients go into the making of this delicious yet simple upma. Athai makes it often and this is proof that very few ingredients are just enough to provide a wholesome breakfast. I also make it for dinner sometimes and my family loves to have them with yoghurt and pickle. Heat oil in a pan and add the seasoning in the order given. Now add the rawai and saute well for few minutes. Add salt and mix in the water and make sure no lumps are formed. Close the lid and simmer for about 5 minutes or until the upma comes to the consistency shown. Finally add grated coconut and serve warm. 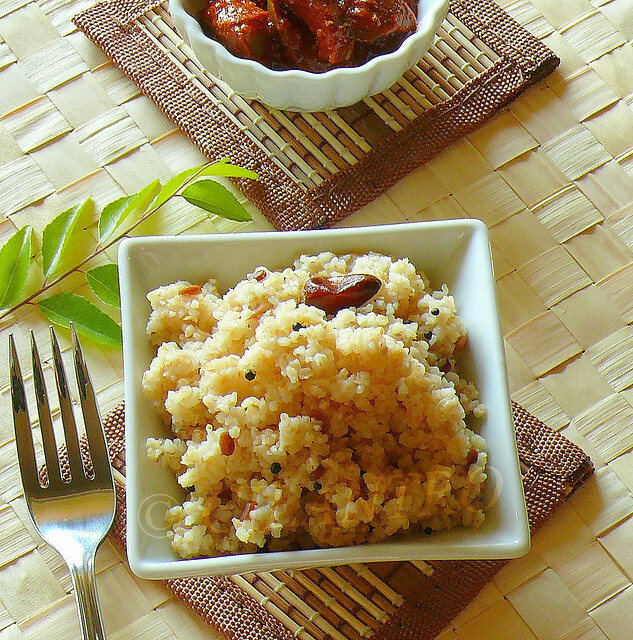 TIPS: This Upma can be served with Coconut chutney or Sambhar. 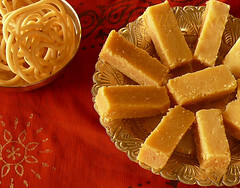 We prefer to have it with curd and pickle. Some have it with sugar too. This upma will absorb all the water as it simmers, so do not worry if you feel the water is too much as you add it initially. If you need a gooey texture then add another 1/2 cup water or decrease 1/2 a cup if you need a loose texture upma( it depends on the rawai used). Two to three green chillies can be added along with red chillies. Healthy upma .. my favorite and lovely clicks. I often prepare this. I love them to eat with curd and pickle. Wat a healthy and super satisfying upma..
Upma looks really good. The pickle more so.